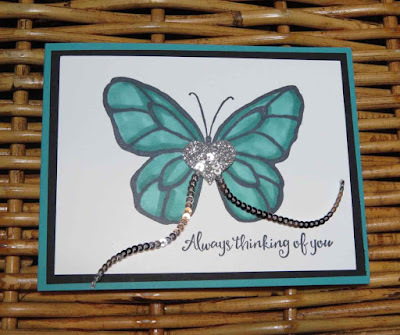 Karina's Kreations: Stampin'Up Beautiful Day Card! Stampin'Up has a new stamp set called beautiful day. If you love technique cards or coloring, I highly recommend this stamp set. I made this cute card at my facebook live team stamp night. Every Month i send out a tutorial with pictures and instructions to make 4 cards or projects. This was one my cards. 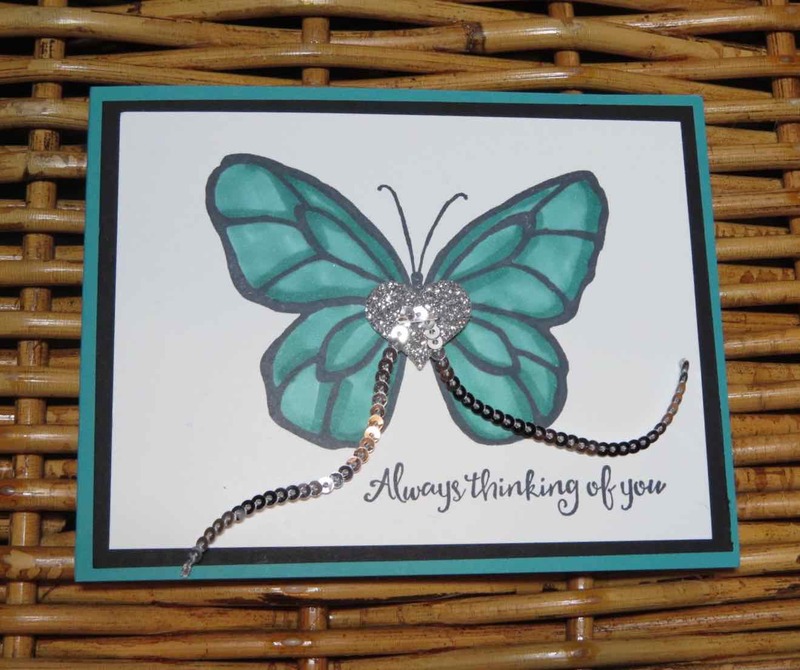 The butterfly is stamped with Black Memento ink on Thick White card stock and colored in with Bermuda Bay light and Dark Stampin Blends. The heart was cut from Silver Glimmer Paper with the Sweet & Sassy Framelit Dies, I staples some Silver mini sequins to the card before attaching it to the card. The Starter kit is on special until the end of May. Pay $135.00, choose $165.00 in products, free shipping and free Gst plus pick two any two stamp sets of your choice as an extra bonus. To place an order, click on one of the pictures.